The Centre for South Asian Studies, University of the Punjab, Lahore publishes a research Journal entitled “South Asian Studies: A research journal of South Asian Studies”. It is a printed and online open access journal since 1984. This Journal is a double-blind refereed scholarly journal, committed to consider original and unpublished scholarly critiques, theoretical, conceptual and research articles that contribute to the understanding of issues and problems of South Asia at local, national and international levels. Ideas and views expressed in papers published in the journal are the sole responsibility of authors. It does not necessarily reflect opinion / policy of the Centre or Editorial Advisory Board. Only subject focused articles will be considered. It seeks to inform the readers about the core issues of South Asian region particularly politics and culture to security and conflict matters. Scholars are invited to contribute on any topic related to South Asia. 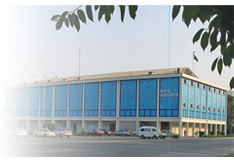 Journal can be visited online at the website of University of the Punjab, Lahore http://www.pu.edu.pk/home/journal/9. The Journal is Indexed in ProQuest Research Library, Ulrich Periodicals Directory, Ebsco Host, Get Cited, Gale-Cengage Learning, Research Bible, Jour Informatics, Index Copernicus Journal Master List, Directory of Research, Journals Indexing, ProQuest Central, Periodicals Archive Online, Directory of Open Access Journals, Global Impact Factor, Journal Seek, UGA Electronic Libraries, Academic Search Complete, University of North Texas Libraries Catalogs, Factiva, Asia-Net Pakistan, Scientific Indexing Services and Directory of Abstract Indexing for Journals. Any feed back and suggestions for improvement of the journal will be highly appreciated.